Okay, be honest: How many of us are brave enough to try talking with people who really really hate us? I talk a good game, but in real life I hardly ever interact with people very different from me. Recently on the arch-evolutionist/atheist blog Why Evolution Is True Don McLeroy tried to defend his religion. I don’t agree with McLeroy’s ideas about God or science, but I have to give him credit for his willingness to talk civilly with his culture-war enemies. You may remember Dr. McLeroy as the Texas dentist who came to educational power a few years back on the Texas State Board of Education. Viewers of the documentary The Revisionaries will remember some of McLeroy’s positions. He wanted less evolution and more country music. He wanted less hip-hop and more Ronald Reagan. Those of us outside the world of young-earth creationism were wowed to hear McLeroy teach his Sunday-school class the verities of his religion. How did all those animals fit on the ark? Easy! How was it possible that all the evidence of an ancient earth was wrong? No problem! And some viewers poked fun at McLeroy for his anti-expert opinions. “I disagree with the experts,” McLeroy famously intoned in The Revisionaries. “Someone has to stand up to them.” To many skeptics, this sort of attitude demonstrated McLeroy’s willful ignorance. Why WOULDN’T we want experts to decide our school curricula, critics asked incredulously? 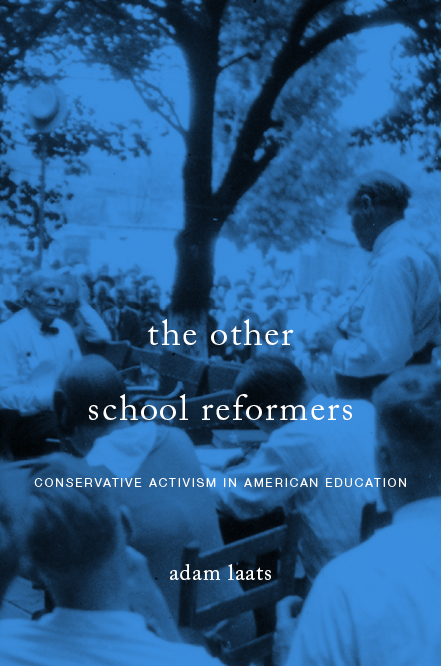 As I argued at the time, however, McLeroy’s ideas about proper expertise have a long and storied history among educational conservatives. The crux of the disagreement concerned the nature of evidence and how we can know something. For McLeroy, Paul’s biblical statement that 500 witnesses had seen the Risen Jesus seemed conclusive. As the readers of WEIT pointed out—and I wholeheartedly agree—there are enormous holes with this sort of knowing. How can we know Paul really consulted 500 other witnesses? How do we trust what Paul thought he saw? Indeed, how can we know Paul was a real person at all? For folks like me and the commenters on WEIT, such evidence does not count as convincing. For folks like Dr. McLeroy, the Bible’s writings carry greater weight. If the Bible attests to something, we know with confidence that it is true. If the Bible says God created the universe in six days, then we have no need to doubt it. We can trust that it is true. Indeed, if we don’t trust that it is true, we risk calling God Himself a liar. Obviously, these two very different attitudes toward knowledge have a difficult time communicating with each other. But there seems to be a cottage industry of efforts to do so. Conservative theologian Doug Wilson and atheist-at-large Christopher Hitchens spent some time together in the film Collision. As Wilson and Hitchens found out, there is not much point in shouting at each other. Each side misunderstands the other in such fundamental ways that time is better spent chatting politely and drinking beer. In his recent appearance, Don McLeroy thanked WEIT commenters for their opinions, and promised to read the books suggested. But he did not seem likely to be convinced. Nor did WEIT readers seem likely to turn to the Bible the next time they had a question about science, history, or politics. Nevertheless, McLeroy pointedly maintained his famous good-natured politeness. In the end, that might be the extent of dialogue we can expect across these profound culture-war chasms.